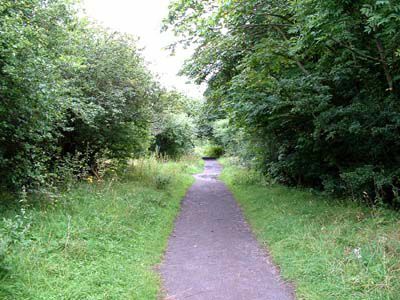 See Mystery creature, like a, puma' on esplanade, Big Cat on Broughty Ferry Esplanade and Big Cat Sighting for sightings which have occurred here. 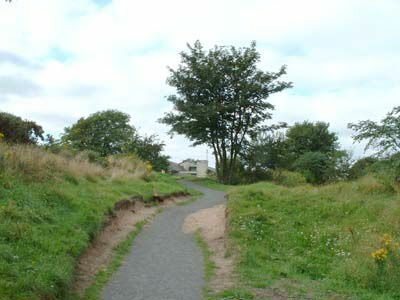 Picture One: This is the view to the east along the esplanade. Buddies is the structure partially hidden by trees in the distance. Picture Two: This is the view to the east along the railway. Picture Three: This is the view to the west along the railway. Pictures two and three were taken from the bridge at the eastern end of the esplanade. Although close to houses I think the pictures show the kind of cover available. This area has been the site of several big cat sightings. 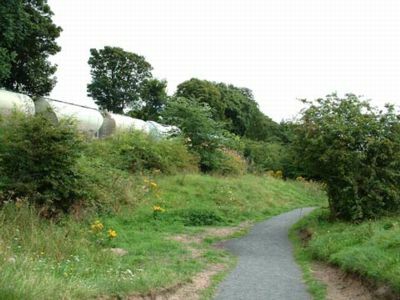 Although the sightings have been close to a built up area the pictures show that not only is there a considerable amount of cover but the railway provides a convenient route to and from the esplanade. 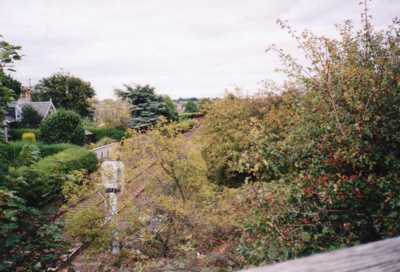 The railway is also bordered by high walls and vegetation which would provide cover for any cat following the track. 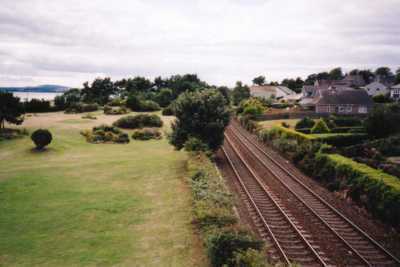 The railway heads east towards Barry Links and Monifieth where there have been numerous sightings. These are more photos from Broughty Ferry esplanade. 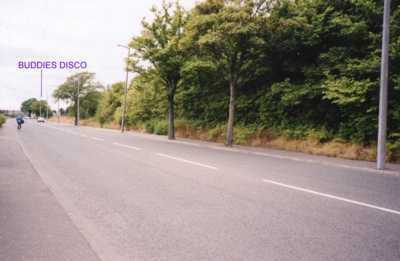 That's what is between the esplanade and the railway line, the building in the background is the nightclub where the cat was seen running into the undergrowth. I was down there yesterday and I noticed a path so I decided to see what was up it. Certainly took me by surprise when I saw what the area was like. Perfect cover for a cat, there are a few paths through it where there are a lot of dog prints and I saw a couple of bunny rabbits. It is, according to a small, barely visible sign, a "nature reserve". Although there haven't been any recent sightings there I can see why a cat would have been there.